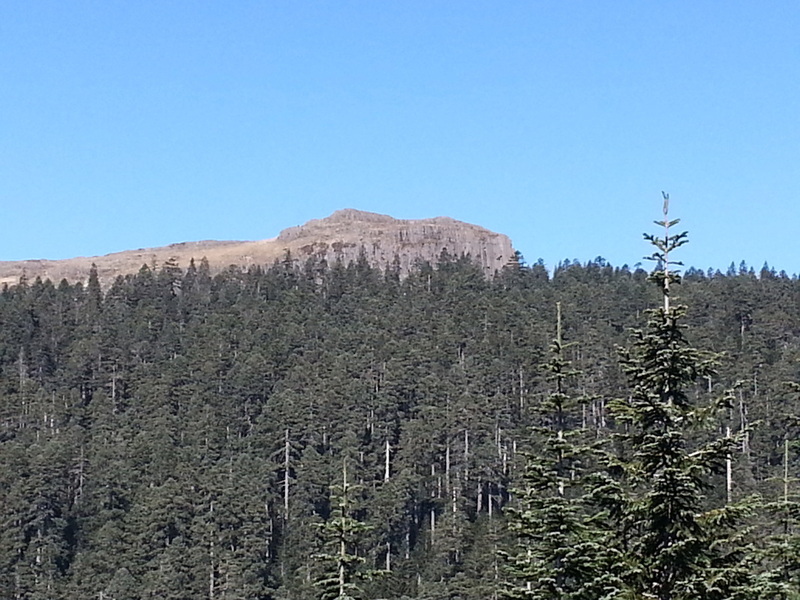 Described are both the out and back and loop hikes to Silver Star Mountain starting at the Grouse Vista trailhead. Due to several fires in the early 1900's, much of the area is open, with limited water. 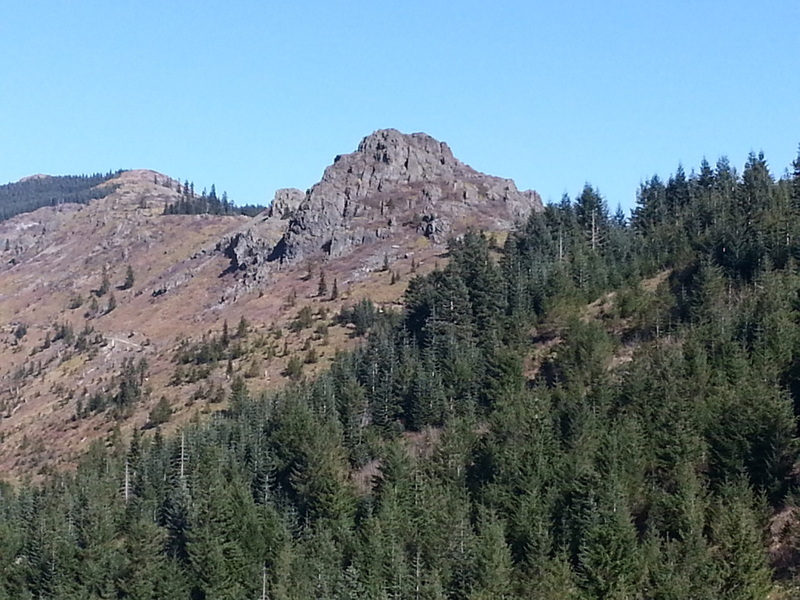 For the out and back trip, pass by Pyramid Rock, with views up toward Sturgeon Rock and Silver Star. The trail (old access road, current creek bed in places) is rocky the majority of the way and requires constant attentiveness. But you'll get over that, as once to the former lookout site at 4,300' on Silver Star Mountain, the views are spectacular. All the regional peaks can be seen, with Mt. Adams, Goat Rocks, Mt. Rainier and Mt. St. Helens all gracefully displayed seemingly right next to one another. Mt. Hood and even Mt. Jefferson can be seen to the south. A remarkable, high country feel, so close to the city. Flowers in season cover parts of the hike, as well as berries in the fall. For the loop version, the Tarbell trail heads north just a few steps from the lot. The main feature of the loop is that the first few miles are actually a trail, which ultimately takes you right alongside Sturgeon Rock. Add about 1 1/2 miles (8 1/2 miles total) for the loop version to Silver Star. (Summer 2018 update: parts of the Tarbell trail between Grouse Vista and Hidden Falls junction #180C are currently being logged. The trail may not be accessible due to downed timber and newly graded logging roads). Additionally from the loop, a side trip to Hidden Falls is possible. 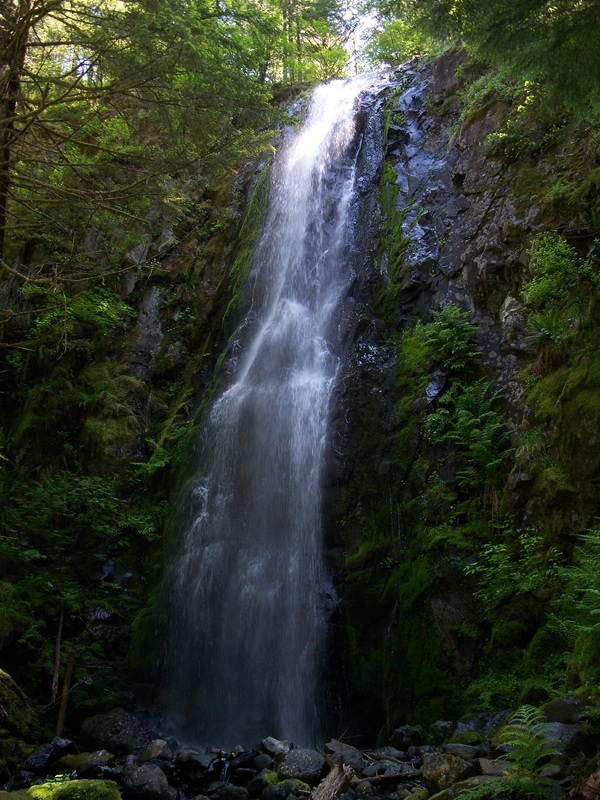 Unfortunately, the trail passes through recent/active logging, but the falls are left untouched. See loop trail map for details. Another potential side trip begins just below the summit on trail #172 at an obvious campsite. Proceed out a mile or so towards Little Baldy Mtn., with expansive views looking from the east back to Silver Star. Best done early summer through fall. A Discover Pass is required for parking.